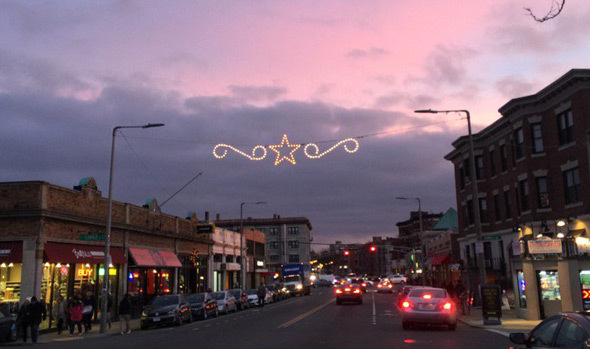 Christopher Arena photographed the scene from Brighton Avenue: Read more. The MBTA reports delays into town on the B Line due to a trolley with a mechanical problem at Harvard Avenue. 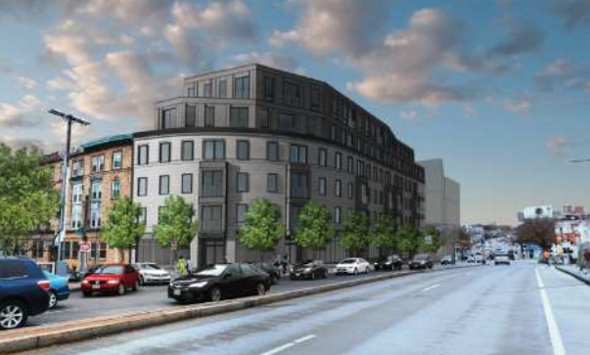 City Realty wants to replace a series of buildings around the intersection of Harvard Avenue and Cambridge Street with five new buildings and a gut rehab of a sixth that would include a total of 334 apartments and condos as well as new first-floor retail space. Read more. Wonder Bar on Harvard Avenue shuts on June 27 to serve out a six-day state license suspension for a Dec. 2, 2017 incident in which state liquor inspectors found a total of eight people between the ages of 18 and 20 enjoying a variety of mixed drinks. Read more. As has become usual in the City of Champions, Boston Police will once again set up cordons around the two sports-focused areas to prevent any massive knuckleheadedness, this time at the end of the third quarter of the Super Bowl. Read more. 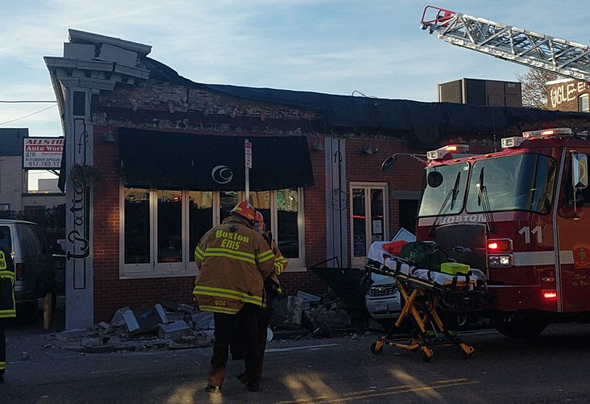 The owner of Wonder Bar, 178 Harvard Ave., acknowledged today that he and his staff need to do better after police detectives on a routine inspection found six underage college students with mixed drinks at a reserved table after the Head of the Charles Regatta last month. Read more. The MBTA reports "minor" delay on the B Line inbound due to a train that kicked the bucket at Harvard Avenue. Boston Police report they are looking for a guy they say picked up a woman at Harvard Avenue and Gardner Street around 2:15 this morning and then sexually attacked her. Read more. You call that a signature? Photo by BPD. Boston Police report officers prowling the back lanes of Allston in search of spray-painting taggers found one behind the Five Guys on Comm. Ave. at Harvard around 1:30 a.m. yesterday: Read more. Chris in Boston looked down Harvard Avenue in Allston. City Councilor Mark Ciommo (Allston/Brighton) today tore into a medical-marijuana dispensary proposed for 144 Harvard Ave., stopping just short of accusing its proponents of being liars who would let kids down pot-laced gummy bears and lollipops. Read more. A downed wire near Harvard Avenue is causing grief for anybody trying to get anywhere on the B Line tonight. The Bulletin reports two groups are seeking to open medical dispensaries on Harvard Avenue in Allston. The problem is that skittish city officials, who keep saying they want to back the will of the people and allow dispensaries, keep finding ways to limit where they can operate. And in this case, the two dispensaries would be closer to each other than allowed under an ordinance approved by the City Council in March.